AIB Governance rests with an Executive Committee, elected from among the membership of the Association. The Executive Committee – which has an important role within AIB and is influential within the global broadcasting industry – is elected for a two-year period. The AIB’s Executive Committee consists of six executives from AIB Member organisations. The Committee is the leading advisory group of the Association. Executive Committee members hold their post for a two-year period and may stand for re-election. The Executive Committee has an important role in influencing policy and standards in broadcasting and electronic media globally. It works, for example, to shape regulatory policy in many markets globally. It is unique in bringing together the views, knowledge and expertise of the broadcasting industry from all parts of the world. The Executive Committee provides oversight of the AIB’s permanent staff and its work and ensures that the AIB’s Secretariat responds to Members’ needs and wishes. In accordance with the AIB’s Constitution, the AIB Chief Executive is a Member of the Executive Committee, in addition to the six elected Members. Simon’s career spans both public and commercial media sectors. He worked as a freelance journalist to BBC World Service English prior to joining the BBC full time in 1986. He also worked with BBC Monitoring, and in 1993 he moved to World Service Corporate Affairs, focusing on press and public relations initiatives, while at the same time continuing to present the World Service English media programme, Waveguide. He was the Project Manager for the Digital Radio Worldwide consortium that brought together international broadcasters with an interest in satellite-delivered digital radio services. In 1996, Simon left the BBC to join World Radio Network as Director of Corporate Affairs. He worked to raise awareness of WRN in the global broadcasting industry, and secured funding from the European Commission to launch pan-European radio services. He also led the project, part funded by Britain’s Department of Trade and Industry, to develop the world’s first portable DAB receiver. As Chief Executive of the AIB, Simon leads the organisation’s work on a day-to-day basis bringing his vast experience to the benefit of members. Tom is an industry veteran who has worked on all sides of the broadcast and media market. He started his career as a producer/director at the BBC working predominately in News & Current Affairs eventually becoming Head of Production for BBC News & Current Affairs. 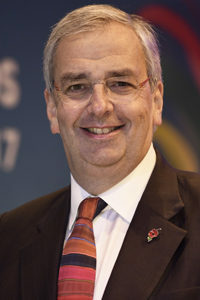 He left the BBC to become a board director of the Omnibus Group, a technology supplier to media companies and then joined to the Autocue Group and moved to the USA to run the Group’s Systems companies. Tom then moved to Australia to work as the General Manager of a film studio in Sydney, financing slates of feature films. He returned to the UK to become the CEO of the international media consultancy and investment advisory practice, Media Asset Capital, who had offices in the UK, US and Canada. 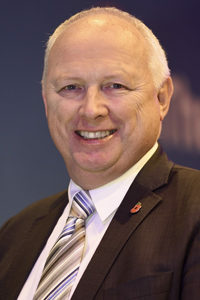 As the Business Development Director of the AIB he is responsible for ensuring members receive the services and support they need from the Association as well as attracting new members. He is also responsible for income development to support the Association’s activities. Gunda studied English and French language and literature at the universities of Cologne and Norwich/East Anglia, and initially taught languages at grammar school, college of higher education and university level. 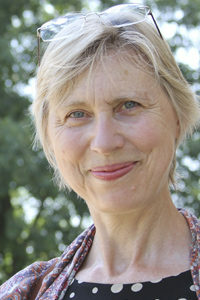 After a lengthy spell as Editor for a UK publishing company specialising in reference books, Gunda joined the BBC World Service in 1983 as Publicity/Marketing Officer in the BBC’s German Language Service. She was responsible for promoting the Service to the public and the press, and she was in charge of the Service’s rebroadcasting activities in German-speaking countries. In 1999, Gunda left the BBC World Service after 16 years to start her own communication coaching business. She offered business briefings for senior executives in British companies, speech and copy writing, editorial assistance, research, media support and PR. Gunda joined the AIB team in 2005 as Editorial Director. As Editor of the AIB’s international media magazine The Channel, she has been responsible for the entire publication from conception to going to print. Gunda currently looks after International Relations at AIB, which includes contact with AIB members around the world and professionals from all sectors of the media industry. 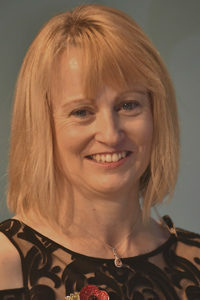 Clare joined the AIB in 2013 taking responsibility for the Association’s administrative operations and the day-to-day running of the AIB office. Clare is also the producer of the annual international programming awards, The AIBs. She manages the entry process and short-listing of all the programmes followed by the final judging. She also produces the awards evening itself as well as managing the venue, caterers and all of the guest invitations. The majority of Clare’s working life has been in the insurance industry where she gained her administrative skills before becoming a claims negotiator. She then took a career break to raise her two sons before joining the AIB. Diane began her career with the BBC World Service, later becoming a member of the Management-Employee Buyout team that successfully won the bid for the overseas transmission section of the BBC World Service during its privatisation. 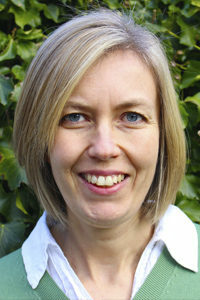 Following the privatisation she became the Communications Strategy Manager at the newly created Merlin Communications, and later VT Communications. As well as working within the broadcast industry, Diane spent eight years at Galore Park Publishing, with responsibility for their customer services activity. Diane is a communications and engagement specialist, who has been working with the AIB since 2014. As well as supporting us with our member and industry communications and events, she undertakes industry research to ensure our database of contacts is kept up to date. Anjuli is a cross-disciplinary analyst, writer, and researcher, with experience of both journalistic and security-related investigations. While studying for her BA(Hons) in Politics and International Relations at the University of Nottingham, she spent a year at SciencesPo, Paris. Here, she was the only foreign undergraduate editor of the university’s environmental blog. Upon her return, Anjuli specialised in international security threats posed by emerging scientific and technological issues, earning a Distinction in her master’s degree from the War Studies Department at King’s College London. 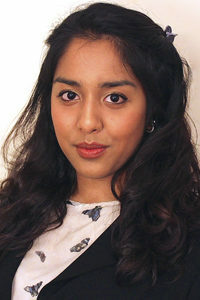 Inspired by her work as an intelligence analyst on Channel 4’s ‘Hunted’, Anjuli will soon be pursuing a Cyber Security DPhil at the University of Oxford. She is also currently part of the SwiftTrace team, improving the quality of the analytical tools available for intelligence operations, and continues to write for the New Statesman. Previously, Anjuli has held management positions in a variety of fields, from social media and fundraising for Red Cat Comics to coordinating feminist campaigns at university. The latter involved organising and hosting a range of events, including the UN’s HeForShe conference at the University of Nottingham. She looks forward to bringing the skills that she has accrued in her career to date to her role at AIB, Conference and Research Analyst.